U. of I. 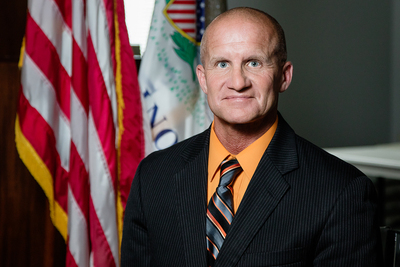 Police Training Institute director Michael Schlosser has spent more than a decade studying police interactions with minority communities and testing new approaches to improve the dynamic. The PTI trains recruits from about 500 police departments in the state of Illinois. 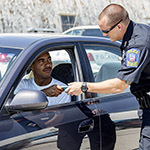 CHAMPAIGN, Ill. — In early 2014, months before the police shooting of Michael Brown in Ferguson, Missouri, and shortly after the Black Lives Matter movement got its start, Michael Schlosser, the director of the Police Training Institute at the University of Illinois, began offering police recruits classes that challenged their views about race and racism, introduced them to critical race theory and instructed them in methods to de-escalate potentially volatile encounters with members of minority groups. The Police Training Institute trains police recruits from about 500 police departments in the state of Illinois. Rather than adopting a military approach to training, PTI uses an adult-learning model, encouraging interactive learning and integrating scenario-based role playing into every aspect of training. The Policing in a Multiracial Society Project, an optional 10-hour class to which many Illinois police chiefs elect to send their recruits, exposes new officers to ideas they may never have encountered before. It asks them to ponder, for example, their own and others’ innate racial biases, and offers evidence of the harm that can accrue from the notion that someone can be blind to another person’s race, or that racism is no longer a meaningful factor in many people’s lives. 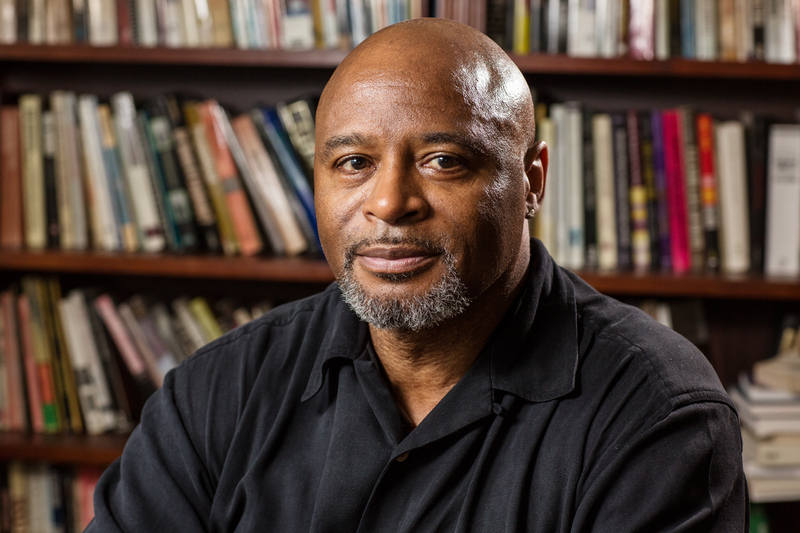 Sundiata Cha-Jua, an Illinois professor of history and of African American studies, is a collaborator on studies of police training and racial attitudes at the Police Training Institute. 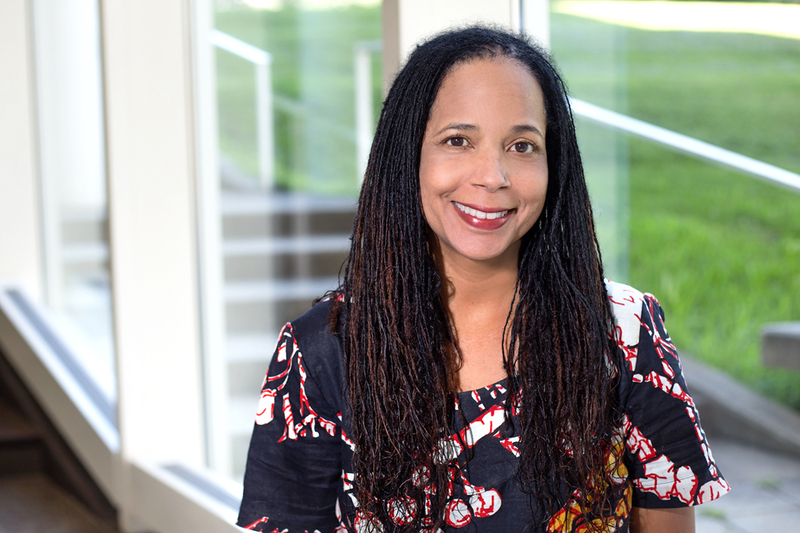 Helen Neville, a professor of educational psychology and of African American studies at Illinois, studies the factors that influence racial attitudes. Part of her research is conducted at the Police Training Institute. Schlosser designed the course with Sundiata Cha-Jua, a U. of I. professor of African American studies and of history; Helen Neville, a professor of African American studies and of educational psychology; community member Imani Bazzell; and student Maria Valgoi. He and his colleagues are studying whether the training meaningfully alters racial awareness in a mostly white, mostly male police force. That evaluation involves questions from the Colorblind Racial Attitudes Scale, a tool developed by Neville. 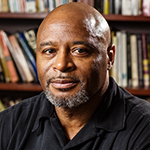 The CoBRAS questionnaire assesses a respondent’s tendency to acknowledge – or dismiss – racial bias in their own lives and in society in general, Neville said. 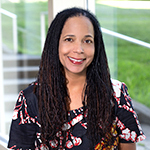 “Although some people think it’s good not to ‘see race,’ findings using the CoBRAS and similar scales suggest that to deny, distort or minimize the existence of racism is related to greater racial intolerance and old-fashioned racist beliefs,” she said. 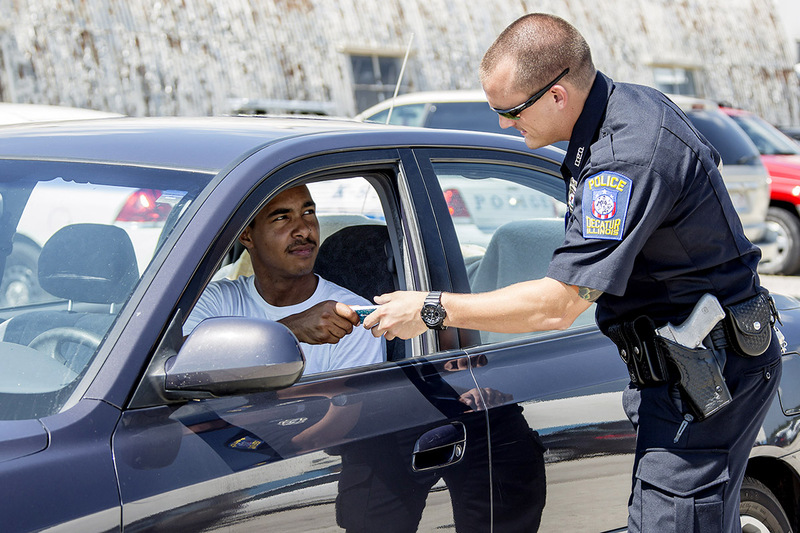 Other research has demonstrated that police racial attitudes are pliable. Perhaps the most compelling example is a 2012 study of New York City police officers who took a semester-long ethnic studies course. The researchers found that, on average, white police officers’ colorblind racial attitudes had shifted meaningfully by the end of the class. Their CoBRAS scores moved closer to those of minority officers, who, not surprisingly, were less likely to subscribe to colorblind racial beliefs in the first place. Schlosser is trying to improve upon that outcome. The free, optional training available at the PTI adds 10 hours to the police recruits’ 12-week training. Recruits at the Police Training Institute practice their skills in scenario-based drills. As a white, retired police officer who spent 20 years on the force of a small, but diverse, Illinois town, Schlosser is an outlier in the police-training world. For reasons he can’t entirely explain, he has an abiding interest in police relations with minority communities. While pursuing a Ph.D. in education at Illinois, for example, he chose courses that fell outside the norm for a white police administrator. “I took classes in critical race theory, the sociology of racism – any class having to do with understanding critical issues involving race in our country,” he said. Schlosser’s dissertation involved testing whether colorblind racial attitudes in police recruits could be altered through targeted training. That initial effort failed to make an immediate difference in their attitudes, as measured by the CoBRAS test before and after the training. 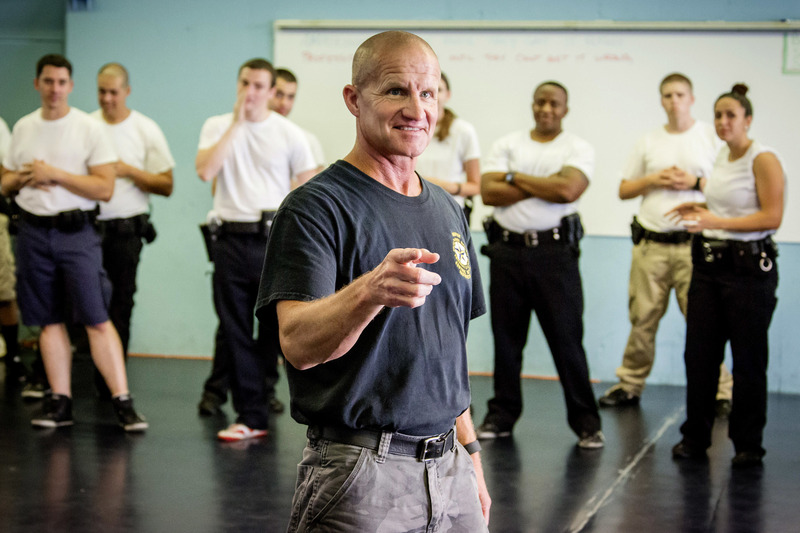 Since then, Schlosser and his colleagues have adjusted the training program, giving recruits more time to share their ideas and attitudes about race and policing; bringing in African-American and other speakers who were arrested, convicted and jailed for crimes they didn’t commit; and role-playing with an experienced team of trainers (many of them African-American) who walk young recruits through a variety of potentially volatile scenarios, many of which include a racial component. Roughly 75 percent of the more than 500 police chiefs who send their recruits to the PTI now elect to include the new training. The team is gathering data on the new training regimen, evaluating recruits before and afterward to see if this approach has more success. Brown’s death, followed by numerous tragic deaths of unarmed black men, women and children in interactions with police, alerted much of the nation to a problem that minority communities have complained about for generations, Schlosser said. “Some police officers – and, as found in the investigation that led to the Ferguson report, whole departments – are unfairly targeting people in minority communities and using disproportionate force against them,” he said. Schlosser said most police officers never fire their guns or harm anyone in the course of performing their duties. To reach Michael Schlosser, call 217-333-2337; email schlossr@illinois.edu. To reach Helen Neville, call 217-244-6291; email hneville@illinois.edu. The paper “Improving Policing in a Multiracial Society in the United States: A New Approach” is available online and from the U. of I. News Bureau.